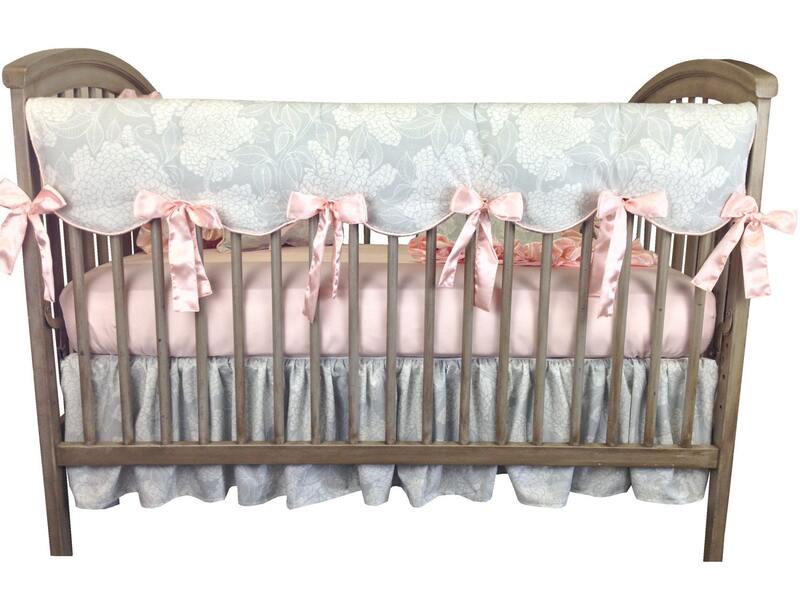 Reversible Front Rail Guard is Scalloped in Pale Gray Hydrangea Printed Cotton with Blush Satin Cord and Ties. 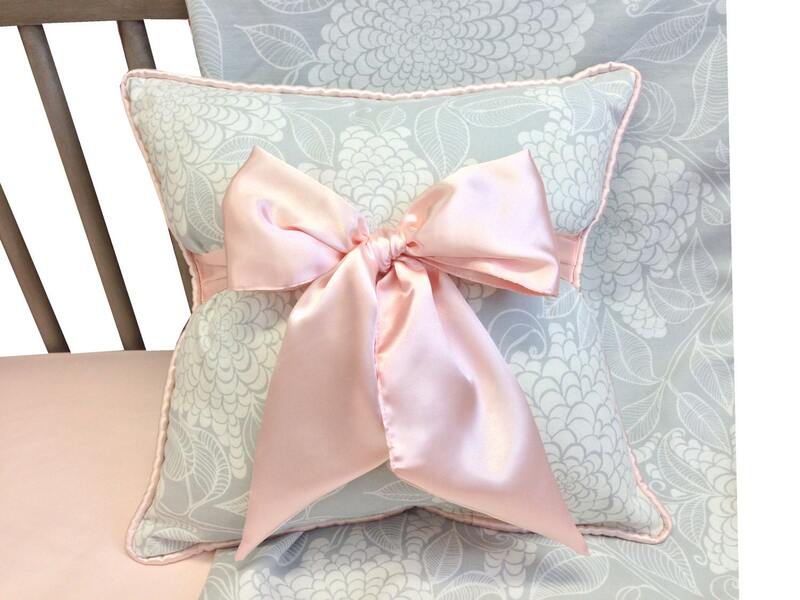 It reverses to gray Minky. 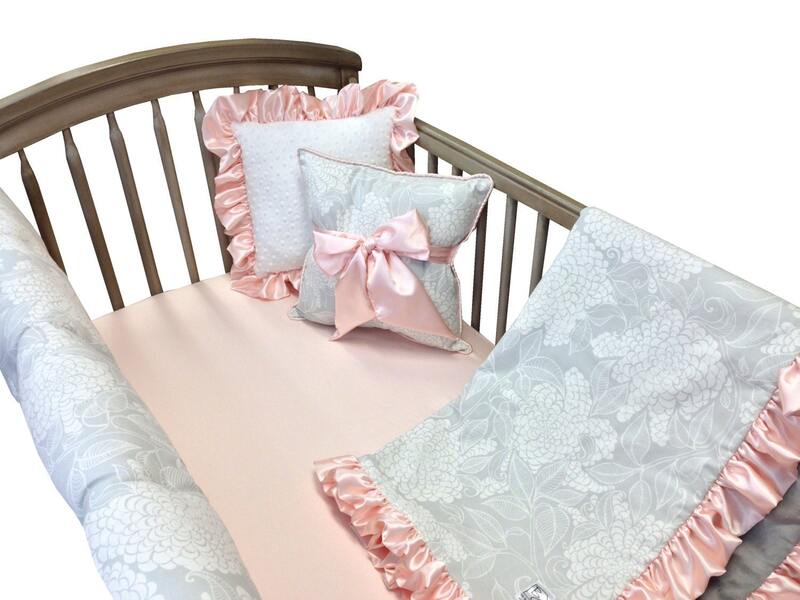 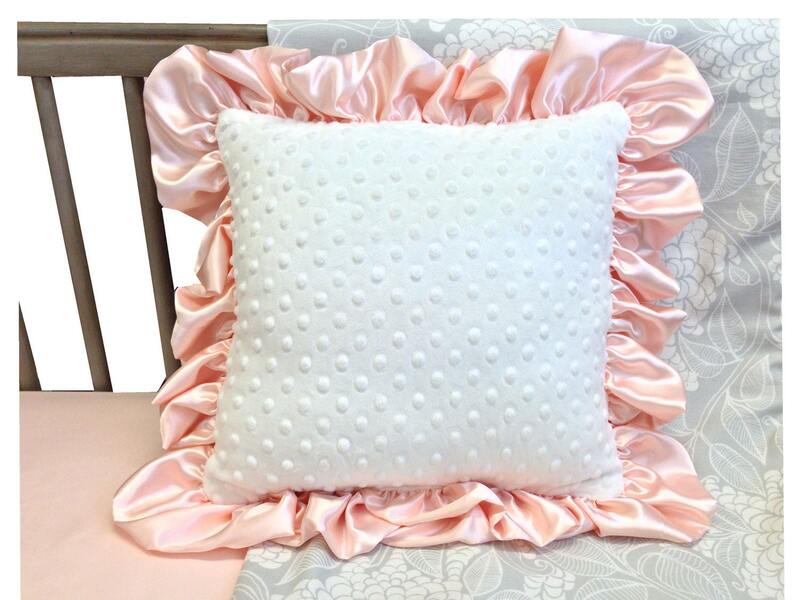 Crib Blanket is Printed on the Front, Gray Minky on the Reverse, Ruffled Edge in Blush Satin.